Sean Roy Hilt, a precious gift and treasure, was given to his parents, Roy and Jayne on October 26, 1980, the only child for 12 ½ years until his brother, Cameron, was born. Sean was born and raised on the north side of Evansville, which remained his main stomping grounds for many years at Highland/Thompkins/Central, competing in baseball, basketball, track, golf and many softball games at Igleheart Park. The north side was also where he chose most recently to build his home. Sean continued his education at the University of Southern Indiana, ultimately receiving his Bachelor of Science degree, all the while working at Pepsico and advancing to the position of Key Account Manager. He never shied from hard work or to take that extra step to excel. A Pepsico manager described Sean as “one of their rising stars”. His competitiveness became second nature which was reflected in every aspect of his life. His athletic career began at Highland/Thompkins/Central then continued at Eugene Pate American Legion teams, Evansville Black Sox, Evansville Outlaws semi-pro team, Rend Lake Junior College and several softball teams. He recently renewed his passion for golf, qualifying and competing in the Men’s City Golf Tournament. Aside from his athletic and career accomplishments, the most significant ones are the birth of his two treasured sons and the priceless gift of many friends. Sean was an amazing hands-on and patient father. 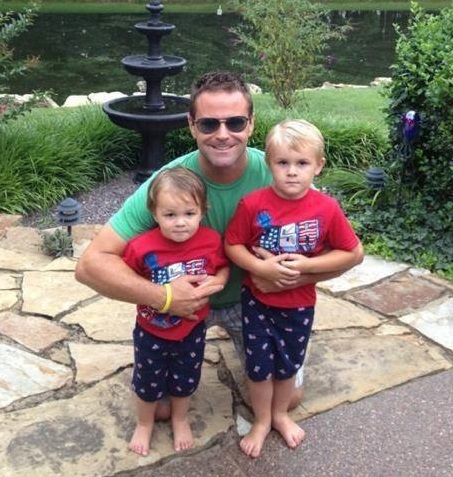 He was immediately involved with caring for Grady born in 2009 and Sawyer in 2011. The pride he felt for these two little boys was apparent with the smile on his face and every story told of his sons. Upon receiving Grady’s diagnosis of Asperger’s Syndrome, he texted “We are extremely proud of our Grady…he makes us look at things differently from his point of view…pretty neat. This wasn’t bad news today…just needed direction on how we can give our baby the most help we can…no doubt in my mind.” Today, Grady is thriving with the resources that have been provided to him. He is an extremely bright and perceptive little boy. Sean’s compassion for people and his humble nature was revealed in the number of lives he impacted. We have been truly blessed to have Sean Roy Hilt in our lives.